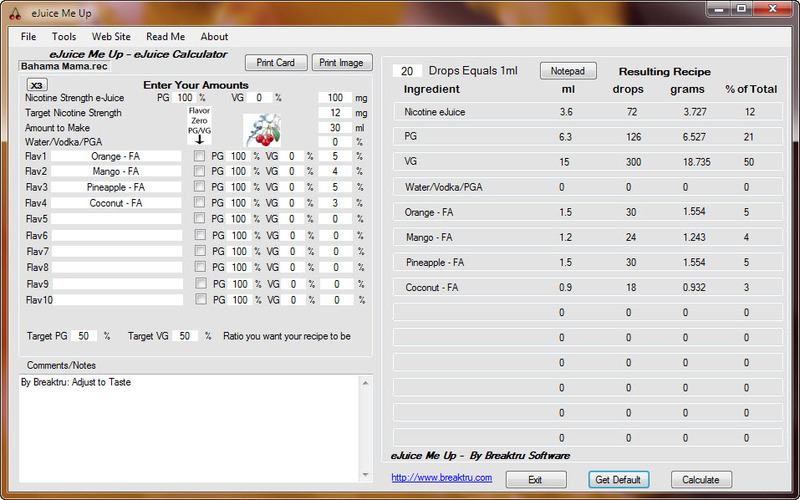 This e-juice recipe calculator is free. Mix your own blend of e-liquids with Propylene Glycol (PG), Vegetable Glycerin (VG), H2O and Nicotine and find the desired nicotine strength and flavoring percentage. Measure by volume, percentage or drops. percentage or drops. Mix, create flavors. Recipes also included. This software offers a solution for users who want to decode multiple QR codes found in image files. Simply load a collection of PNG, JPG, GIF or BMP files and click the 'Start' button to reveal the encoded text within each. Discover your good and bad days by charting, comparing, and analyzing your biorhythms (Physical, Emotional, Intellectual, Intuitive, Mastery, Passion, Wisdom, and others) in a professional new software in Graph, Table, Report, and 6 other views. Journal Pro lets anyone keep a private journal, diary or log for personal or business use, but that`s not all... Entries are stored in an encrypted file with optional password protection. How to make your photo be miracle, try Kaleido Flash! You do not need a specialized camera lens, Kaleido Flash will make your digital photos have dynamic kaleidoscopic effects. Moreover, the effect is changing with the moving of the mouse.